The province of Hunan is situated in the heart of China's central tea growing area, with Guangxi Province to the Southwest, Guizhou Province to the West, Hubei to the North and Jiangxi to the east. it is a landlocked province on the south bank of the Yangtze River and is very mountainous. As a result Hunan Tea tends to be high grown. Sometimes the Teas that are produced in Hunan are referred to as 'Five Mountain Teas'. The climate is warm and temperate, ideal for tea growing. Hunan Province is the second largest producer of loose leaf tea in China. Hunan is known for producing fine Yellow Teas, for example Kekecha Yellow Tea. 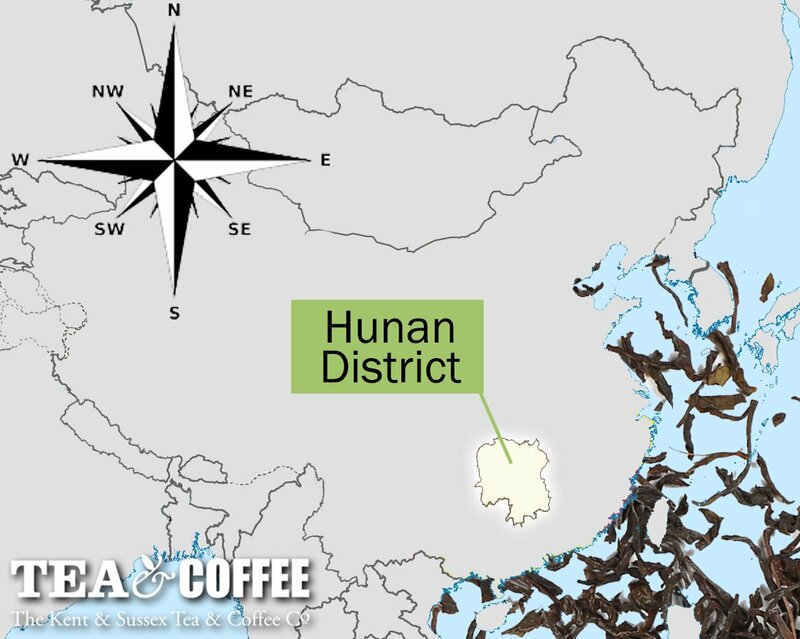 Hunan Province is very well known for the production of Green Teas like: Mao Jian Green Tea, fine Jasmine Teas and Jasmine Pearls.